Business Disability Forum represents around 300 organisations that employ 15% of the UK workforce. We have more than twenty-five years’ experience of equipping people with the expertise to create confident organisations by improving the understanding of disability in business, removing barriers and making adjustments for individuals. Mediaplanet is an international media group which specialises in the local production of unique and engaging campaigns, created in collaboration with renowned influencers and associations. Within our key content verticals, such as health, lifestyle, technology, business, education and cause, we provide a tailored mix of distribution channels, enabled through our network of media partners and our own channels. We offer our clients unique content across print, web, mobile, events and social media with the purpose of connecting you and your audience. Lesbians Who Tech is the largest LGBTQ Technology community in the world. We are 25,000 LGBTQ women in tech focused on empowering two under-represented groups: women in tech and lesbians in the LQBTQ community. We are committed to amplifying voices to empower, inspire and educate. Please join us at our next Summit in New York on September 7-9th. techUK represents the companies and technologies that are defining today the world that we will live in tomorrow. The tech industry is creating jobs and growth across the UK - in 2015 the internet economy contributed 10% of the UK’s GDP. 900 companies are members of techUK. Collectively they employ more than 800,000 people, about half of all tech sector jobs in the UK. These companies range from leading FTSE 100 companies to new innovative start-ups. The UK’s digital economy is world-leading and techUK believes that having a gender balanced workforce across the tech sector will make tangible change toward achieving ongoing leadership. The UK’s phenomenal digital potential must be matched with a robust and growing talent pipeline to realise the opportunity for the UK to be a global leader in tech for decades to come – and this means attracting brightest and best female talent into the sector. techUK believes by encouraging women to enter and thrive in the tech industry at all levels we become more robust, more competitive and more innovative. At Ai-Media, we’re committed to making the world more accessible for everyone, one word at a time. We live caption conferences, live streams, meetings and university lectures around the world, as well as provide closed captions and transcripts for recorded material online. Wherever there’s sound, there ought to be captions. 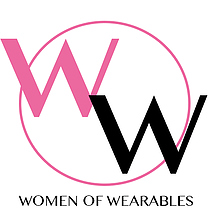 Women of Wearables UK (WoW UK) is an initiative aiming to promote, support and connect women in wearable tech, fashion tech, IoT and VR/AR. WoW's mission is to encourage more women and diverse teams to participate in building hardware and software products as designers, product managers and developers or being founders of their own companies, as well as create more jobs for women in wearable tech and IoT industries. WoW supports its growing community through monthly events, breakfasts, mentoring and workshops. SheCanCode is a social enterprise that is aiming to bridge the gender gap in technology. We have a 5000-strong community of supporters of the ‘women-in-tech’ movement globally. Currently we are trying to bridge online and offline presence by hosting loads of events for our community and sponsors, in addition to building our online community. Gay Times is the longest running magazine for gay and bi men in the world. Gay Times’ website, www.gaytimes.co.uk, recently surpassed three million monthly hits and with two million followers, Gay Times has the largest social media audience of any LGBT+ publication in the world. An iconic brand which continues to offer unparalleled access to a global community of gay and bi men, the team works with global partners, advertisers, sponsors and entrepreneurs as champions of LGBT+ life and business. The group also exists to nurture and promote the benefits of diversity and hiring talent from minority groups generally within games and entertainment. Tech City UK will be evolving to Tech Nation in April 2018, as announced by the Prime Minister and Chancellor of the Exchequer in November 2017. Tech Nation will help transform London and the UK from a series of standalone tech hubs into a powerful national network that will place the UK firmly at the top of global tech rankings. This will ensure that conditions for tech talent and international investment become even more attractive at this crucial point in the UK’s history. Our mission is to build a robust pipeline of high-growth digital businesses in the UK. We are a ‘do-tank’, working with entrepreneurs, policy makers, corporates, and investors to cultivate the right conditions for fast growth tech companies. We deliver research, events, online learning and digital business scaleup programmes, and build community connections in - and between tech hubs across the country.